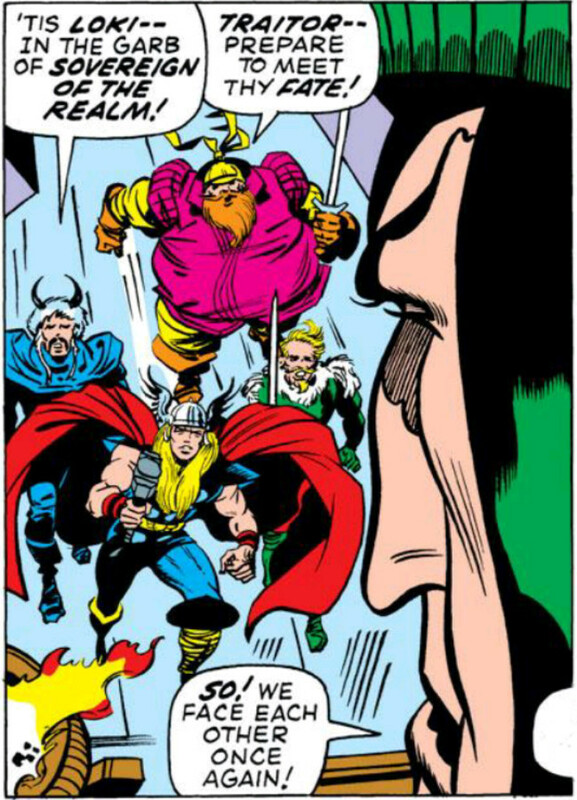 Really it’s because Odin has the Universe’s Worst Guards. So it’s taken me like a month to get around to writing this post. Taking a second read through Thor #175 reveals a probable reason: Loki gets his day on the throne through a plot contrivance that a moderately intelligent dog would consider unrealistic. Despite the fact that suspension of disbelief gets murdered on page 14, I think this is a pretty good comic. Let’s talk about why. Well, this is a pretty rough month to chew through on Marvel Unlimited. There just aren’t a lot of exciting things happening, and title after title falls into the “20 pages of pointless combat” mold. This is an excellent month to consider skipping in its entirety, but let’s see if we can’t pick out a few bright spots worth considering. Let’s take a closer look at Jane Foster’s tumultuous story. Don’t worry, GP, most of the comic-reading public forgot about Jane for a good 30 years. Thor vs. The Grey Gargoyle is pure Silver Age lunacy. (The Grey Gar goyle / Balder Must Die) This book is at the same time proof that early Marvel is too stupid to justify reading all of it and too awesome to skip. The Grey Gargoyle has an amazingly dumb origin and power set, and Thor / Don Blake resorts to equally stupid contrivances to overcome him. Paul Duval is an ordinary – one might even say mild-mannered – French research chemist. When his boss distracts him one day, he spills an abnormal mixture on his hand that turns it into stone. He soon discovers that touching anything (people included) turns that thing to stone for an hour. He’s the only one who can move around when petrified; others are immobile. Being an intelligent, rational man, Paul decides there’s only one way to use this gift: crime!